If you believe you may suffer from celiac disease or non-celiac gluten sensitivity, you have two choices: get a diagnosis, or start the gluten-free diet without one. You don't need an official diagnosis to go gluten-free, and in fact, many people choose not to get one. But there are some good reasons to get that official diagnosis. Here are the top four. 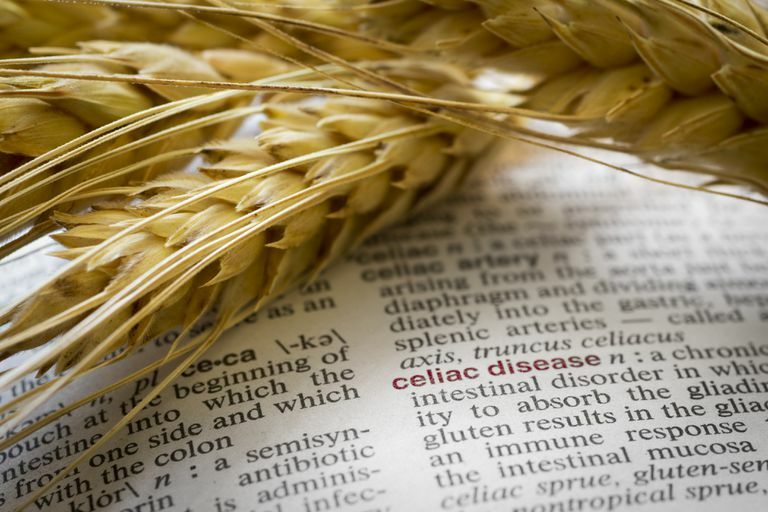 If you have celiac disease, you have a higher risk for developing other autoimmune diseases, such as thyroid disease, type 1 diabetes and Sjögren's syndrome. You may suffer from deficiencies in certain vitamins, especially immediately after diagnosis, when your small intestine still exhibits damage. And you also have greater-than-normal chances of developing the bone-thinning disease osteoporosis, as well as lymphoma, a form of cancer. If you don't have celiac disease, you may still have non-celiac gluten sensitivity. The health risks in gluten sensitivity — a relatively newly-recognized condition — are not so clear-cut. At least one study shows a possible increased cancer risk, and some experts (although not all) believe gluten sensitivity could heighten your chances of additional autoimmune conditions. But for the most part, the research just hasn't been done to determine what increased health risks you might have if you've been diagnosed as gluten-sensitive. Of course, once you've been tested, it may also turn out that you have something other than celiac disease or gluten sensitivity (yes, it happens). There are various conditions, including lactose intolerance and Giardia infection, that have similar gastrointestinal symptoms ... and you won't know to get treated for them unless you pursue a diagnosis. This is a reason for pursuing a diagnosis that we hear all the time — it seems almost everyone in the gluten-free community has a family member "in denial" who might find certain health issues clearing up on the gluten-free diet. If you have celiac disease, medical guidelines call for all first-degree relatives to be tested (something you can tell your older sister when she complains about her "IBS"). There are no similar guidelines for gluten sensitivity, but there's ample anecdotal evidence for a familial component there, as well. It can be difficult enough to work within the system to make sure your celiac or gluten-sensitive child isn't exposed to gluten at school. Without a diagnosis, you're likely to find it's practically impossible: public schools simply won't provide gluten-free cafeteria meals or negotiate a gluten-free 504 plan without that official bit of doctor-signed recognition. Some colleges are getting better at providing gluten-free food on their meal plans, but again, you may need an official diagnosis to obtain safe food. The same goes for certain work situations. For example, you may find yourself drawing down your sick days (especially when you're first diagnosed, since you'll be more prone to mistakes on the diet), and consequently, you may need to present your supervisor with an explanation. Or you may need to persuade a skeptical manager to order a gluten-free meal for you so you can attend a required office lunch or dinner. In all these "official" situations, there's no question that having a doctor's note stating you're celiac or gluten-sensitive will pave the way to winning accommodations you might not be able to obtain if the powers-that-be believe you're simply eating gluten-free as a lifestyle choice. Persuasive talking might earn you the needed accommodations anyway, but the piece of paper definitely helps. At least four different companies currently are developing drugs that could help to treat celiac disease. Although approval is likely still several years away, drug makers are targeting this market, and the U.S. Food and Drug Administration has fast-tracked one application. Once a drug is approved, having a celiac disease diagnosis already in hand means you can potentially be among the first to take the drug, assuming your doctor believes it's appropriate for you. Some of the drugs in development (although not all) potentially also might work for someone with gluten sensitivity, so you'll need to talk to your doctor once one is approved to see whether it could help you. My guess is that approval of a celiac disease drug will spur many more people to be diagnosed. But if you're eagerly awaiting a medication that can help you prevent symptoms from gluten cross-contamination, you may find your diagnosis is a boon. Is the Weed Killer Roundup To Blame for Celiac and Gluten Sensitivity? Is GMO Wheat Increasing Celiac Disease and Gluten Sensitivity?